Protect My IPM Data ! 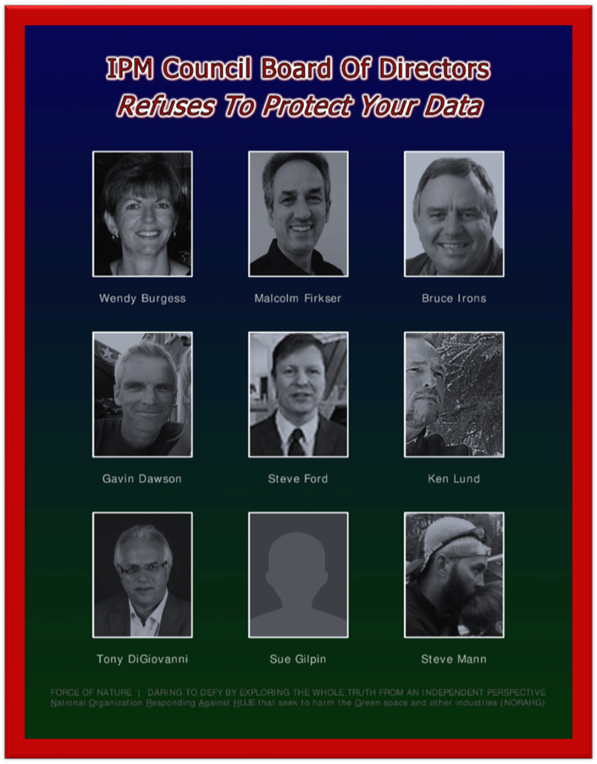 Refuses To Protect Your IPM Data ― Contact Him & Demand That The IPM Web-Site Be Shut-Down NOW ! 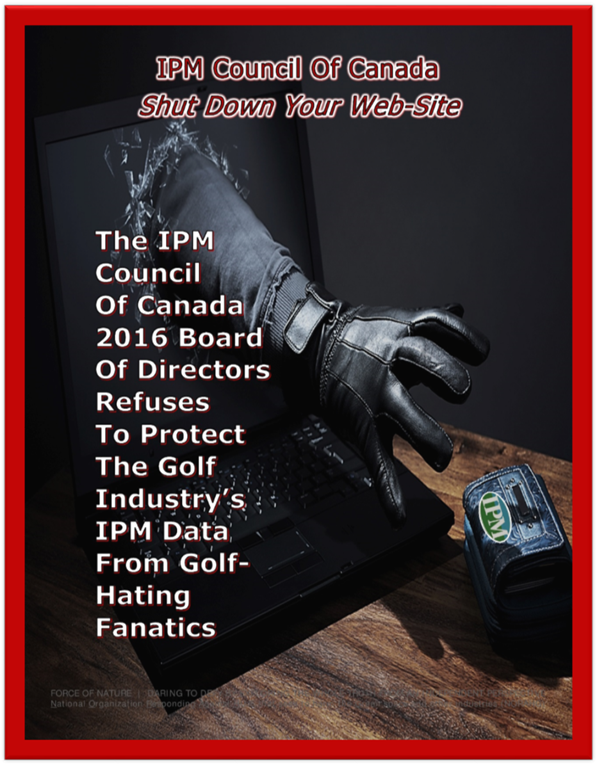 The IPM Council is ENABLING Anti-Pesticide & Golf-Hating Lunatics by GRANTING THEM WHOLESALE AND UNCONSTRAINED ACCESS TO YOUR SENSITIVE IPM DATA ! 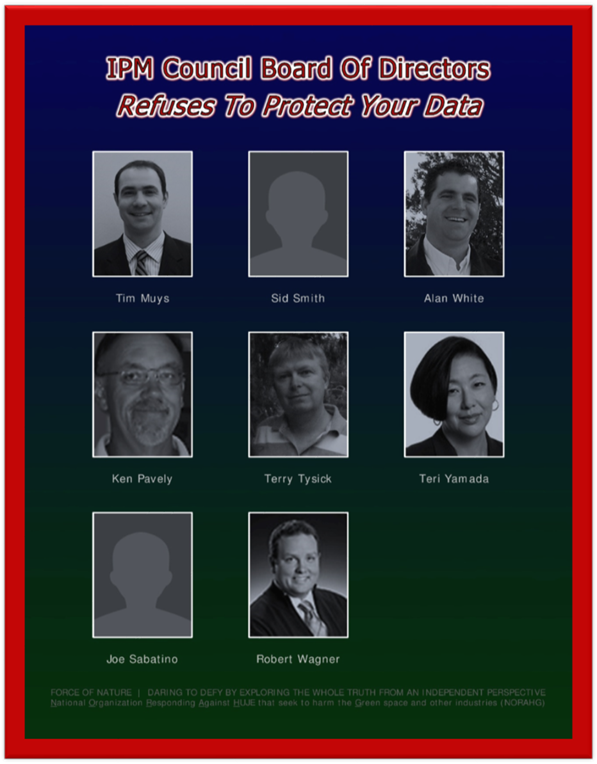 IT MUST SHUT-DOWN ITS WEB-SITE AND PROTECT YOUR IPM DATA … NOW !